Dr Silky Chotai, Dept of Medicine, Xiamen University Medical College, China. Dr Amit Kumar Bose, Secretary , S I E W F, Bangalore. 4. Microbiology ï¿½ Rapid Review for Bacteriology, Mycology, Virology. 6. Basic Concepts of Biostatistics important for competitive exams. 7. Basic Concepts of Pediatrics important for competitive exams. The classes started with a mock test on day one, which was open to all students at LZMC and then progressed with system wise discussion of Internal Medicine for students who were enrolled in classes. Started with central nervous system ï¿½ as it is the least understood topic by UG medical students, and is considered to be high yield on competitive exams like MCI screening test. 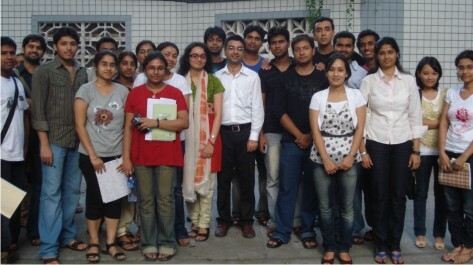 Discussed psychiatry in second half of CNS discussion, as it is also an important topic for exam. Followed by CNS, discussed CVS, Hematology, Oncology, Respiratory system, and Genito-urinary system. Discussion of topics of each system started with basic concepts of Physiology and anatomy followed by pathological disease in form of their Pathology, Pathophysiology, Clinical Features, Investigation, Diagnosis and Treatment with Prevention. Each system also included infectious diseases relevant to that part of medicine. Total number of mock tests conducted ï¿½ 8, of which 1 was 100 marks, 2 were 50 marks and rest were 25 marks each. The duration interval for each test was average 4-6 days. - Click here to view the result. Each test was enthusiastically attended by most of the students, and they seemed to be more confident with each day. Test was followed by detailed discussion of each question asked on that test paper. Most of the students were able to participate in the discussion. During each class regular short breaks were released for students to freshen up. At the end of teaching and discussion of MCQs, atleast 30 minutes was spared for solving any difficulties on individual basis. Teaching students and sharing knowledge has always been satisfying and justifying one of our reasons to be in Medicine. Hope this helps them in a long run! !